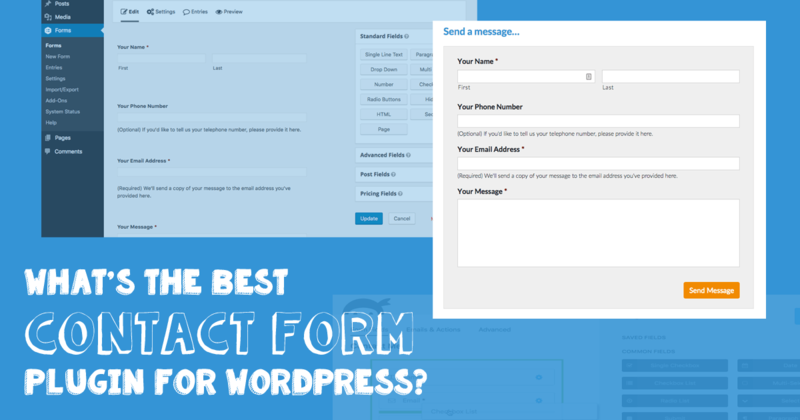 What’s the best Contact Form plugin for WordPress? 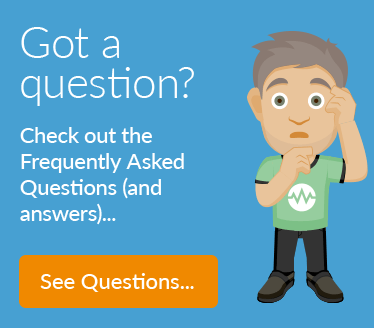 Home » Frequently Asked Questions (FAQ) » What’s the best Contact Form plugin for WordPress? 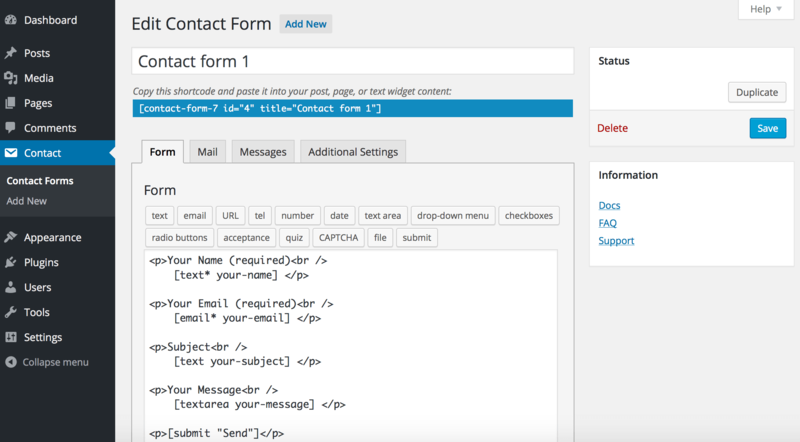 Allowing prospects and customers to contact you via the website is obviously important for a business website, which is why the contact form plugin is an important part of your website. From a business perspective, the best plugin to use (by a country mile) is Gravity Forms (premium plugin, starts from $59/year). Simply because it has several key features that makes it perfectly suited for business use. 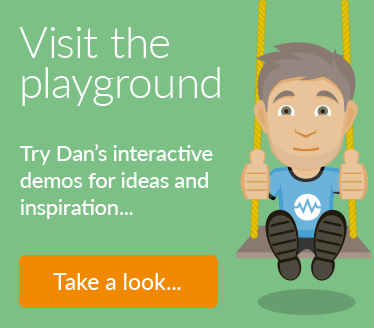 You can customise email notifications sent to you (or your team) using the ‘Notifications’ setting (ideal for sharing with your sales or team members who do followup). You can customise what confirmation email your prospects receive using the ‘Notifications’ setting (ideal for sending them a copy of your message, to confirm that you’ve got their email. It keeps a copy of all details captured by the form in the WordPress database, essentially giving you a backup. So you (or one of your team) can check daily to see if anything has been missed. You can create very simple AND very complex forms, allowing you to create forms for a number of purposes without having to pay for any additional software. 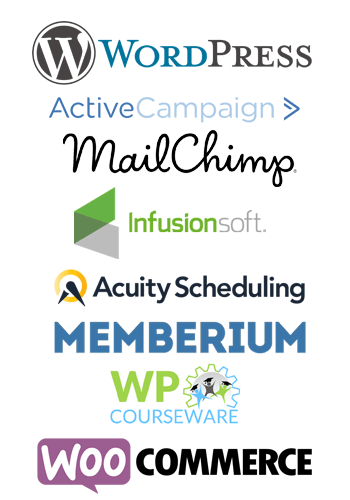 On their ‘Pro’ Licence ($159 / year) or above, you get access to their advanced CRM/Email Marketing Add Ons, which includes integrations with MailChimp, ActiveCampaign, AWeber, and CampaignMonitor. 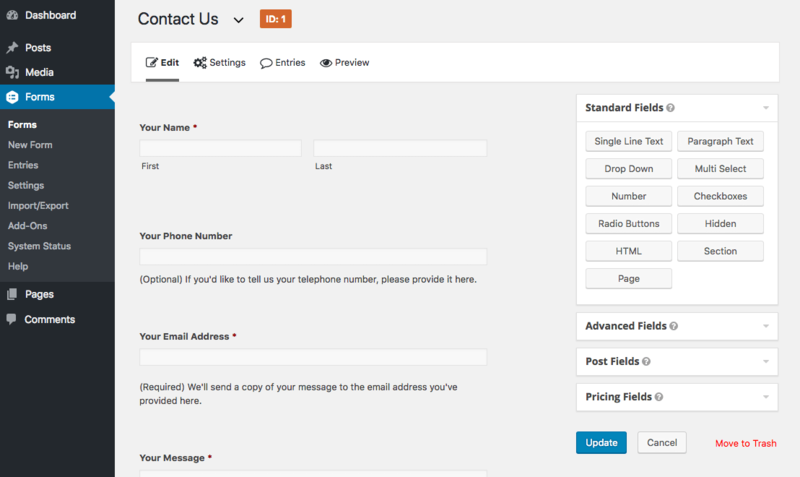 (The Add On for Gravity Forms with Infusionsoft is actually free and available from the WordPress Plugin Directory. 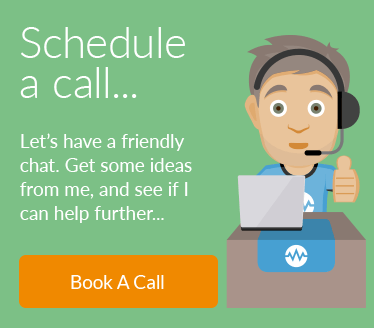 Getting your leads into your CRM directly will help you with your business automation, saving you and your team hours of work. By paying a higher price for the plugin, you get access to their Add Ons (rather than paying extra for each add on). The pricing for the Gravity Forms plugin is per year, meaning it’s a fee that you’ve got to pay for each year to continue getting updates. Whilst I’ve listed this as a disadvantage, the updates are very worth having. And if you run a business, you do need to pay for some software. This is software that’s worth paying for. Sometimes the form needs some adjusting with CSS by a developer to ensure that it matches the style and design of your website. Whilst the plugin works perfectly without any customisations, the design adjustments will help ensure the form completely matches your website design. From a developer perspective, Gravity Forms is exceptionally well engineered, and I admire the developers for creating such an elegantly coded plugin. I’ve been using it for a very long time, and I’m very happy with it. For Our Clients: As we use Gravity Forms so extensively, we have a developer licence for Gravity Forms. That means our clients can take advantage of our licence free of charge, giving them access to Gravity Forms and all of the Add Ons. 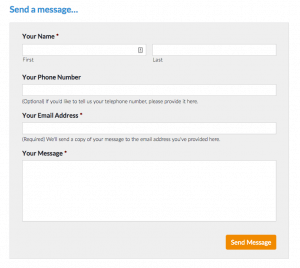 A very popular choice of contact form tool is Contact Form 7. 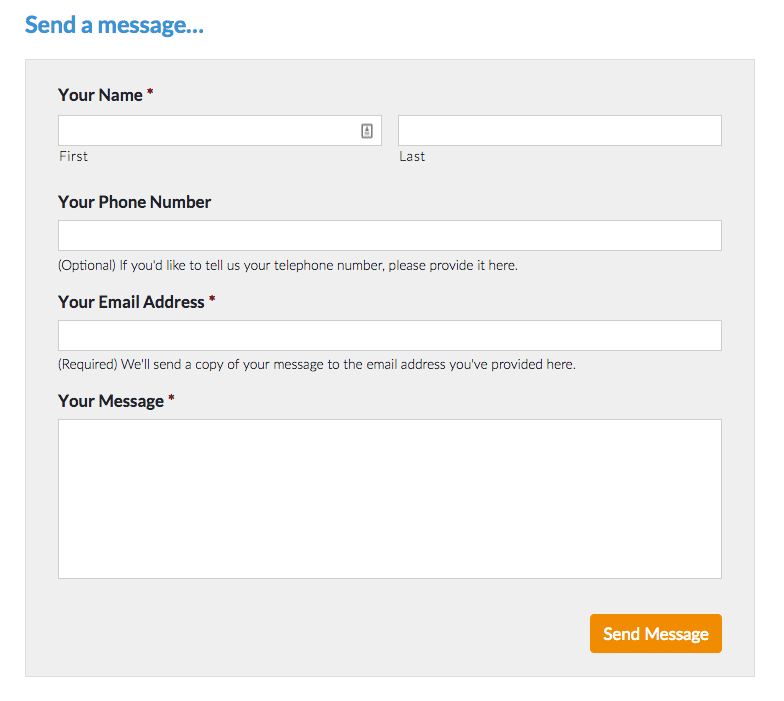 It’s free, but I personally feel it’s limited and tricky to use for anything that’s more complex than a simple contact form. However, it is a very popular plugin, and I know lots of website creators really like it. 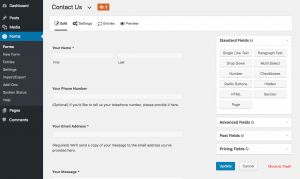 You can get integrations that connect Contact Form 7 to CRM systems, as there are plugins out there to help. Just do a google search for “Contact Form 7 YOURSYSTEM”. I’ve not had much experience with Ninja Forms, but it has a capability similar to Gravity Forms, and has a huge number of integrations too. They offer a free and premium version of the plugin, meaning that the paid-for version will unlock additional functionality. The big difference with Ninja Forms and Gravity Forms is with their Add On pricing. Ninja Forms has paid-for version, and their Add Ons are paid-for too. 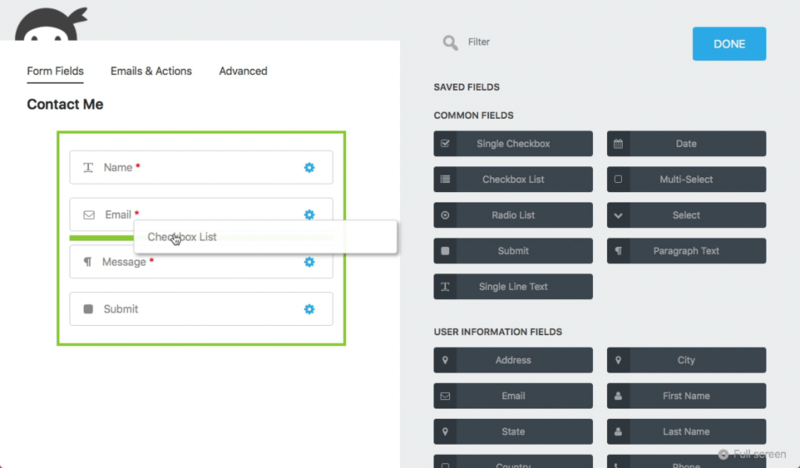 With Gravity Forms, you pay more, you get more Add Ons included. That said, it’s a serious contender as a plugin, and I’d recommend that you experiment with it before looking at Gravity Forms. I’ve just not had much experience with it as I’ve been so happy with Gravity Forms.